John was called to the Bar in 2015. He has a mixed practice appearing and providing advice in criminal law, financial services, administrative law and family law. John was admitted to the Supreme Court of New South Wales as a solicitor in 2001. Prior to being called to the Bar, John worked as senior lawyer at the Australian Securities and Investments Commission (“ASIC”) in Sydney, working on a number of high profile investigations. prior to his senior lawyer role, he worked as the NSW Local Court Prosecutor for ASIC, prosecuting a large number of directors for failing to abide by their duties under the Corporations Act 2001. He also worked with liquidators in prosecuting company officers who failed to cooperate in the liquidation process. He also appeared on behalf of ASIC at the Administrative Appeal Tribunal (“AAT’) primarily in director disqualification appeals. For several years, John worked as a defence lawyer for the Sydney Aboriginal Legal Service. He conducted defended hearings and committal hearings primarily in the NSW Local Court as well as sentence hearings before the NSW District Court. He also had a Family Law and Child Protection practice whilst at the ALS. 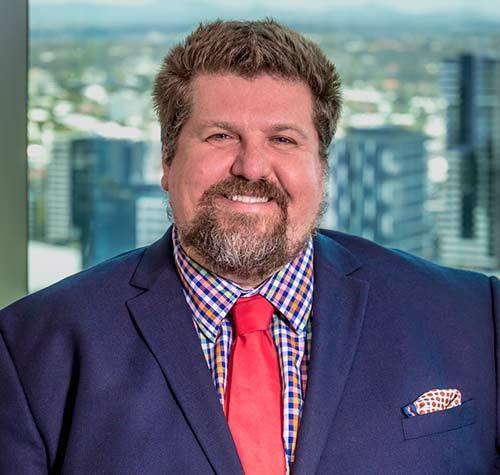 Since being called to the Bar, John has mostly appeared in applications and trials in the family law and criminal law jurisdictions both in the Federal and State Courts in Queensland and New South Wales. John also has an extensive practice in Domestic Violence matters in Queensland and New South Wales. He recently appeared on behalf of the Women’s Legal Service in an appeal before the Queensland District Court and was successful in that matter. John also provides advice and assistance in financial services matters, namely appeals of decision by the Financial Ombudsman Service (“FOS”), appeals to the AAT as well as appearance in s.19 hearings before ASIC. John is also a Nationally Accredited Mediator as well as a Family Dispute Resolution Practitioner registered with the Federal Attorney-General.